was founded by and Daisy Peterson Sweeney (Oscar Peterson’ sister) at the Union United Church along with its then minister, Frank B. Gabourel. During the next eight years, the MBCYC performed numerous concerts in various churches and auditoriums in Canada, including two command performances at the Pacific National Exhibition in Vancouver; toured the USA, and recorded two albums. In 1982, the MBCYC joined forces with the Union United Church Senior Choir in a joint concert, directed by Prof. Payne, to celebrate the 75th Anniversary of the oldest Black church in Montreal. 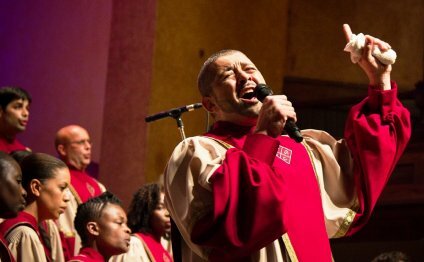 The success of this event, which included Oliver Jones, Ranee Lee and Charlie Biddle, launched the Payne-led Montreal Jubilation Gospel Choir to its current status as one of the world's finest Gospel choirs. Trevor W. Payne has called Montreal home since his family moved to the city from Barbados when he was 10. He enjoyed modest success in the 1960s as the leader of the pop group 'Trevor Payne and the Triangle' (later: Kanda Kanda] - a band which performed with Van Morrison, Jefferson Airplane, the Doors, April Wine, Jethro Tull, Joe Cocker, Johnny Winter, and others. Feeling restricted by the simplicity of pop music and by his own lack of training, Payne gave up the band to study at McGill's Faculty of Music in 1971. He plays piano, organ, saxophone, violoncello and percussion instruments.